Dr. Angela Kovacik is a fellowship-trained Neuro-Ophthalmologist and cataract surgeon. 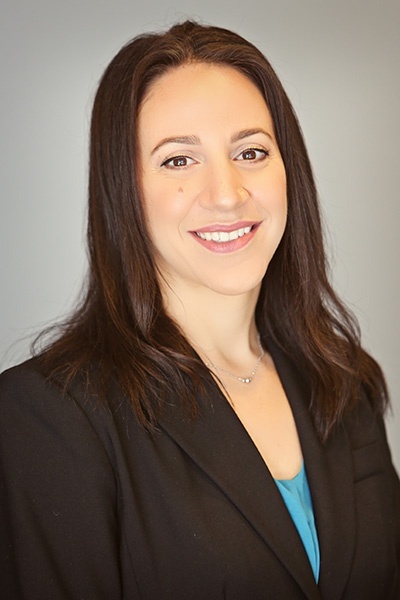 While Dr. Kovacik has this very rare specialty training, she works within Horizon as both a General Ophthalmologist as well as a Neuro-Ophthalmologist. She sees patients for cataract evaluations, glaucoma care, annual eye exams and eye emergencies as well as double vision, vision loss, optic nerve swelling and visual field defects, among others. Like Dr. McCulloch and Dr. Feller, Dr. Angela Kovacik is a home-grown member of our medical staff. She grew up in Phoenix in a family of well-known medical professionals. Dr. Kovacik graduated with honors from Arizona State University with her Bachelor of Science in a double major Chemistry and Mathematics. She then earned her Medical Degree from Boston University. After a one-year internal medicine internship at Banner Good Samaritan Hospital in Phoenix, Dr. Kovacik completed her Ophthalmology residency at the University of Texas Health Science Center in San Antonio. Dr. Kovacik earned the distinction of Resident of the Year twice during her three years in residency. She then completed her fellowship in Neuro-Ophthalmology at Bascom Palmer Eye Institute, one of the world’s premier eye institutes at the University of Miami. Dr. Kovacik speaks Spanish. Her personal interests are rowing, painting & drawing, piano and violin.